Review: Etude House Play 101 Stick Contour Duo | Memorable Days : Beauty Blog - Korean Beauty, European, American Product Reviews. Hi all! 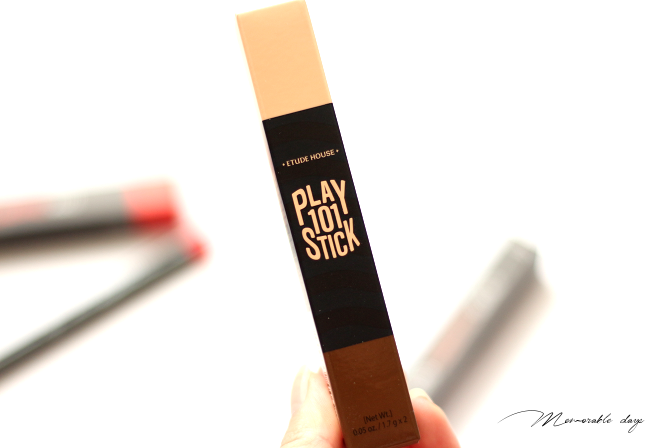 In today's blogpost I am reviewing the Play 101 Stick Contour Duo from ETUDE HOUSE in shade #2 - a new shade that they recently released. 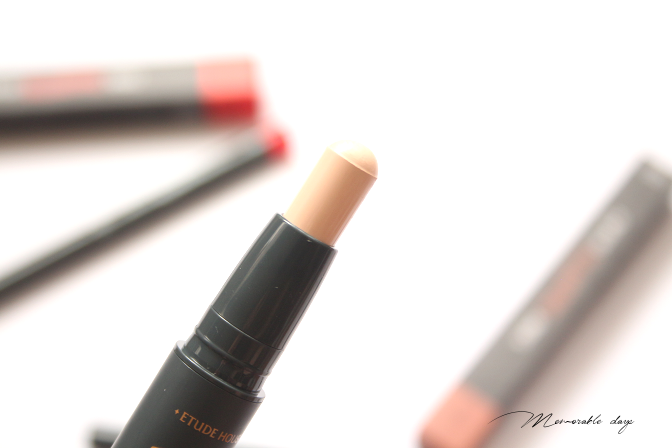 It comes in a stick and has two sides: a light base and dark shading (contouring). 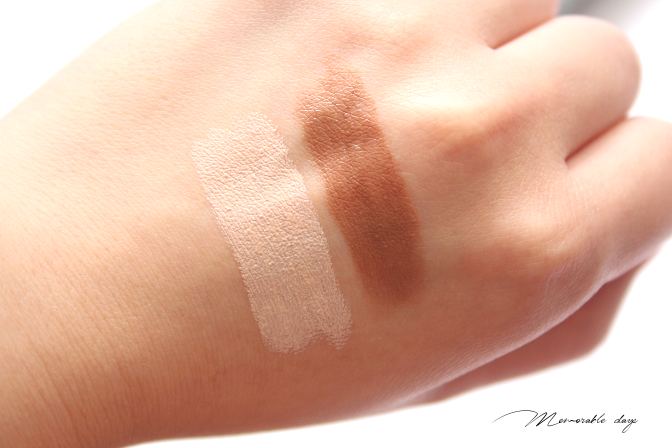 If you want to see some swatches, look no further, I will show them in today's blogpost. The description on the ETUDE HOUSE website states that it's a creamy contour duo that creates a look of authentic dimentionality of the face. 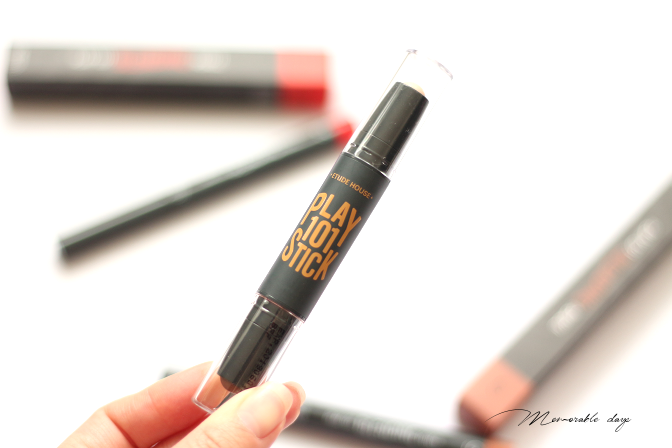 It comes in a stick, which you can easily take around with in your make up bag and you can contour within 3 seconds. Scroll to 1:50 - In below's video you can see how #1 shade looks on the face. It comes in a very simple packaging. It's a retractable stick, in the pictures that I am showing below is the max of both sides. 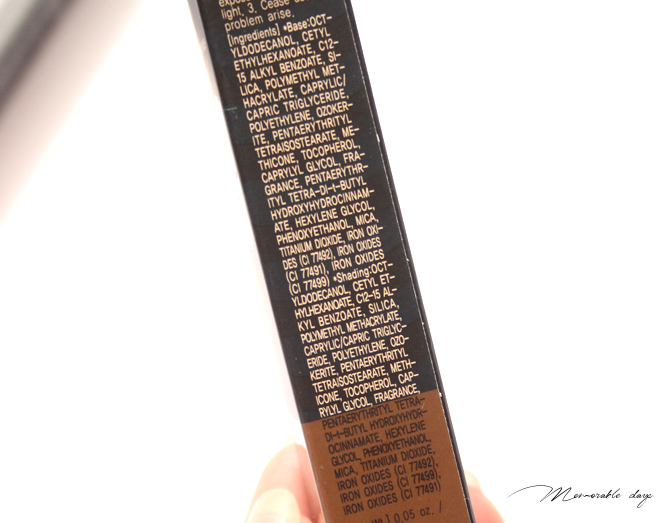 This is the ingredient list of the base and the shading part. You can check out the ingredient list on Cosdna.com as well. Base: Octyldodecanol, Cetyl Ethylhexanoate, C12-15 Alkyl Benzoate, Silica, Polymethyl Methacrylate, Caprylic/Capric Triglyceride, Polyethylene, Ozokerite, Pentaerythrityl Tetraisostearate, Methicone, Tocopherol, Caprylyl Glycol,Phenoxyethanol, Pentaerythrityl Tetra-Di-T-Butyl Hydroxyhydrocinnamate, Hexylene Glycol, Mica, Titanium Dioxide, Iron Oxides (Ci 77492), Iron Oxides (Ci 77491). Shading: Octyldodecanol, Cetyl Ethylhexanoate, C12-15 Alkyl Benzoate, Silica, Polymethyl Methacrylate, Caprylic/Capric Triglyceride, Polyethylene, Ozokerite, Pentaerythrityl Tetraisostearate, Methicone, Tocopherol, Caprylyl Glycol, Phenoxyethanol, Pentaerythrityl Tetra-Di-T-Butyl Hydroxyhydrocinnamate, Hexylene Glycol, Mica, Titanium Dioxide, Iron Oxides (Ci 77492), Iron Oxides (Ci 77491), Iron Oxides (Ci 77499). This contour duo applies very smoothly and can blend easily. The finish is matte after blending. It won't get cakey or patchy after applying it over a foundation which is great. However, if you layer the base too often, you might emphasize dry areas on your skin, so make sure your skin is moist before you apply it. The base: you can apply it on your underline of your eyes, forehead and lip line for a natural concealer effect. Dark shading: as for the dark shading, you can apply it on your hair line, nose and jaw line to create a contouring effect. You are able to purchase it on etudehouse.com (the ETUDE HOUSE website) for USD$14.40, they ship worldwide. This product is great for make up beginners. 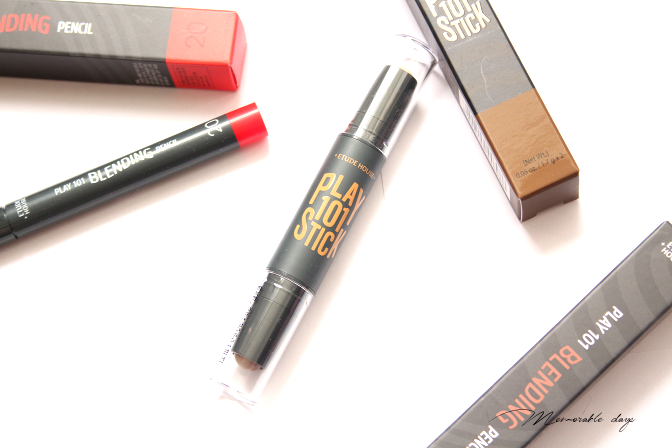 I am a big fan of sticks, since it's easy to apply and it fits in my make up bag so I can take it around easily. 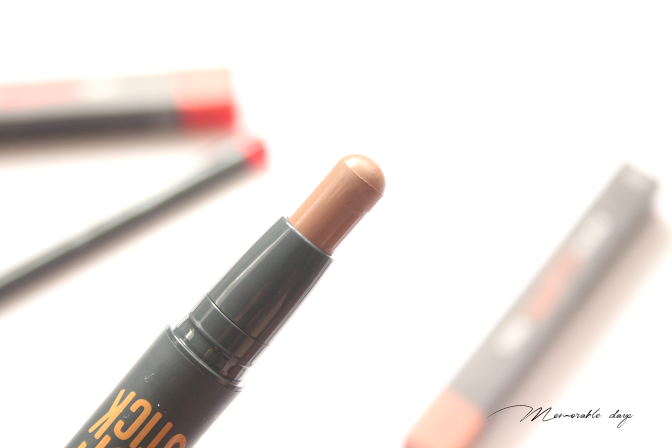 The darker shade is very buildable, it has a medium pigmentation which I can blend easily. This shade is a bit too dark for my light skin tone, so I only apply a little of it. I am absolutely in love with the matte finish that it has. I am less fan of the other side of the stick - the base. If you layer the base too often, you might emphasize dry areas on your skin, so you always need to make sure your skin is moist before you apply it. I don't see it as a concealer, eventhough ETUDE HOUSE sells it like that. I see it more as a highlighter, highlighting the areas where you want it to appear brighter. It doesn't have a shimmery effect to it, it's matte as well. Unfortunately, both sides doesn't stay the whole day, so re-application is needed. 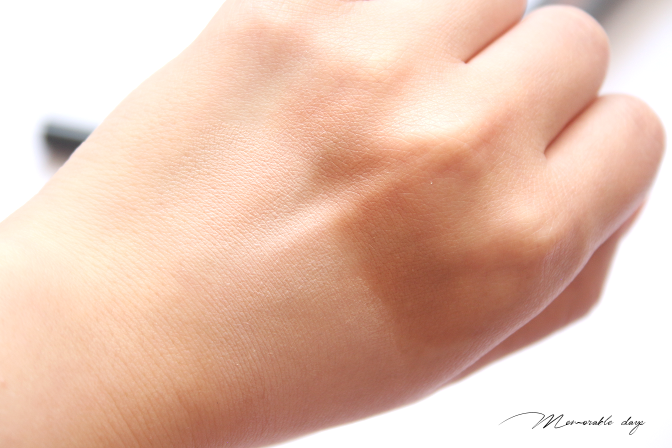 It fades during the day, but that's also because of my skin type: combination dry. When my skin is oily, my bronzer and highlighter may fade away depending on which product I use. This product isn't an exception unfortunately. This problem won't happen if you got a dry/normal skintype.